There are two rapping princesses in the Gellar-Prinze household! Sarah Michelle Gellar took to Instagram on Monday to share a super cute (and extremely rare) video of her daughter with hubby Freddie Prinze Jr., Charlotte. 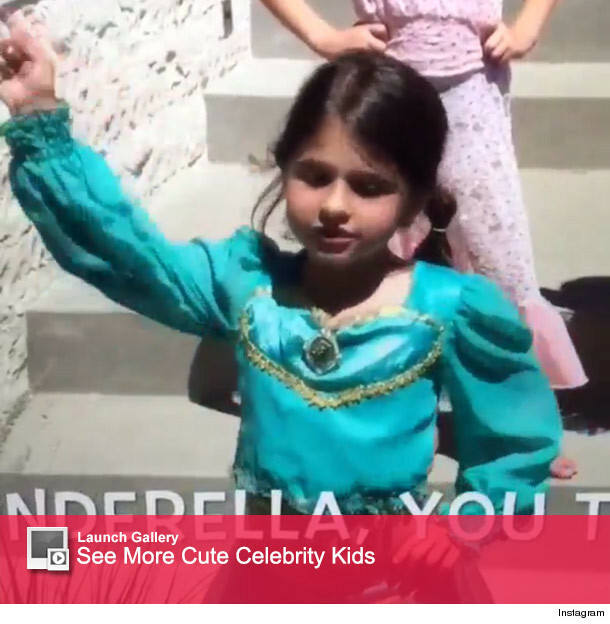 In the clip, the brunette cutie looks like a mini version of "Aladdin's" Princess Jasmine as she busts one adorable rhyme from the "Princess Rap Battle" web series. Charlotte's famous mama showed off her fairy tale hip-hop skills earlier this year when she made her YouTube debut as Cinderella. 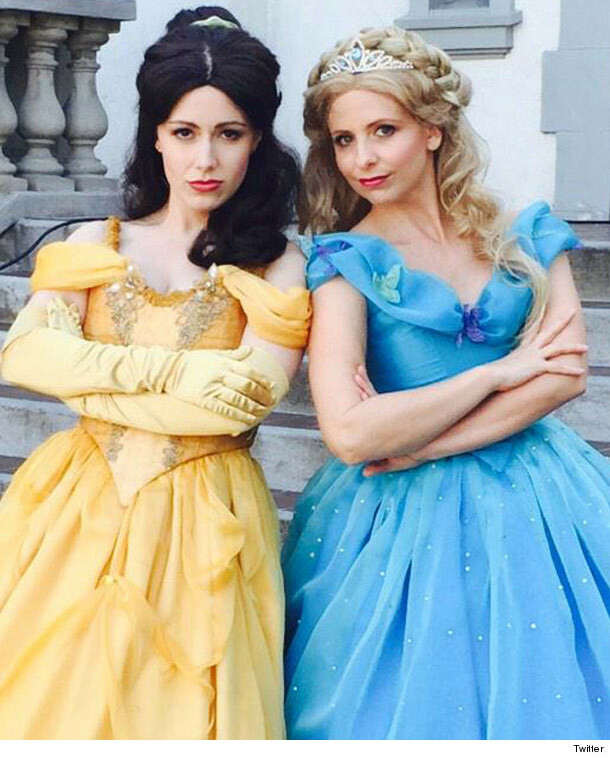 The "Buffy" alum appeared in the fourth edition of "Princess Rap Battle," complete with a poofy blue ball gown, tiara and long blonde wig. The actress faced-off against creator Whitney Avalon, who was dressed as Belle in her signature golden-yellow dress. The popular channel features different Disney princesses pitted against one another in 2-3 minute clips. What do you think about the 5-year-old's skills? Tell toofab in the comment section and check out the gallery below to see even more cute celeb kids! Sarah Michelle Gellar Posts Sweet Bikini-Clad Throwback Pic With Hubby Freddie Prinze Jr.
Reese, Sarah & Selma Have Epic 'Cruel Intentions' Reunion -- And Recreate THAT Kiss!